Michael Sam, the first gay NFL player, shows homosexuality is not a choice. Michael Sam celebrates after scoring a touchdown on Oct. 12, 2013. 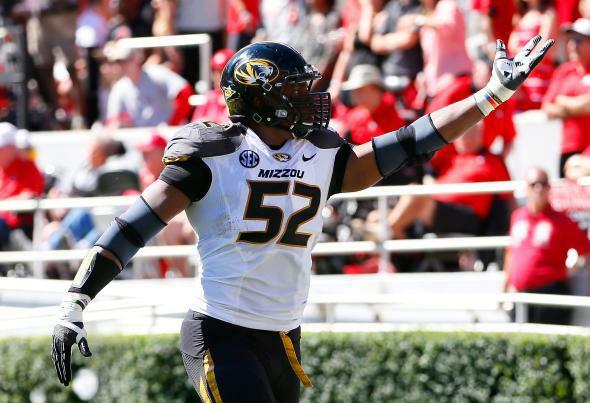 Michael Sam, an outstanding collegiate football player, has come out of the closet. He’s expected to be picked in the third or fourth round of the National Football League draft. He’ll be the NFL’s first openly gay player. My colleague Josh Levin makes the case for Sam as a groundbreaker. In Slate’s Outward blog, Tyler Lopez makes a business case for drafting Sam. But I want to focus on something else: what Sam’s story tells us about the nature of sexual orientation. In his ESPN interview, Sam said what a lot of gay men have said about their adolescent years: “I knew from a young age that I was attracted to guys. And growing up, I didn’t know if it was a phase.” He thought it might go away. It didn’t. I could be in jail. I could be dead. … But I made a choice. I made a choice at a young age that I knew that I didn’t want to follow that path of my brothers. I knew I didn’t want to follow the path where I had to call my mom from jail and say, “Can you bail me out?” Or running streets or whatever. I knew that I wanted to have some success so my family could be proud of me. The key words are I made a choice. Against the grain of everything that had happened in his family, Sam chose a different course. You can question lots of things about Sam: Does he have the size to play lineman in the NFL? Should he be a starter? What you can’t question is his will. And that should make you think hard, if you haven’t already, about the role of willpower in sexual orientation. Some people think homosexuality is a choice. Many others accept that it’s an inclination but insist that you can overcome it. Even among liberals, there’s occasional loose talk that being gay is a personal decision. There are some people, at the margins of bisexuality, for whom that’s true. But gay men—those who know they’re gay, not just fooling around—don’t choose to be gay and can’t make themselves straight. If the science and the spectacular failure of “ex-gay” ministries don’t convince you, look at Michael Sam. He’s about to take the brunt of being the NFL’s first openly gay player—an ordeal any sensible person would avoid if he could. To get here, Sam had to find the moral strength to break a family history of crime and death. What he couldn’t break was his sexual orientation. It wasn’t his choice.